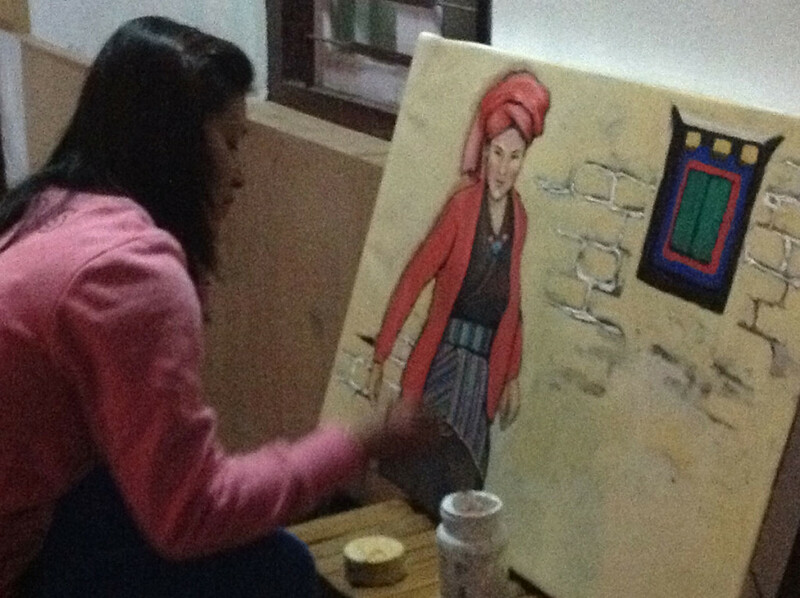 Manang Youth Society (MYS) held an art workshop in Lo Manthang, Mustang from 25 May to 1 June, 2014 with the aim of promoting the area and creating a platform for artists to showcase their talent. All female artists Erina Tamrakar, Sunita Rana, Bidhata KC, Bipana Maharjan and Puja Maharjan and photographer Sajana Shrestha visited the villages of Jomsom, Chuksang, Charang and Lo Manthang in Mustang district. During the workshop, the team interacted with the locals and witnessed the Tiji festival. An exhibition of their work “Fragments of Mustang” was held at Nepal Art Council, Babarmahal from 18 August to 21 August, 2014. The opening of the event was done by Honorable Minister Mr. Bhim Prasad Acharya, Minister for Culture, Tourism and Civil Aviation. The exhibition/event showcased the artists’ impressions of the area and provided information on the region through their paintings and photographs.